From the best Family Hotels in Fiji to Five-Star Resorts to Backpacker Lodges, everybody will find accommodation in Fiji. The nearly 400 accommodation options in Fiji cater for the backpacking individual traveler with lots of budget accommodations to the rich and famous with luxury resorts which are out of this world. Booking hotel accommodation online is not always easy. There are hundreds of websites with thousands of deals to search through. HotelCombined searches through all top travel sites looking through deals to find all-inclusive resorts or the best family hotels in Fiji. HotelsCombined searches through availability and prices from all the top travel websites from around the world, including Booking.com, Expedia, Hotels.com, Agoda, Venere, LateRooms and much more. In one quick and easy search, we show you only the information you want to know and need to know. You’ll find just what you’re after and can be sure you got the most out of your booking. No booking fee, no markup. 322 islands and about 500 islets just south of the equator, Fiji. In the old days called the “Cannibal Islands”, today one of the more modern Melanesian countries. The Fiji Islands are a holiday destination, full of activities, adventures, scuba diving, snorkeling, and natural beauty with a warm climate throughout the year, clear and warm oceans teeming with life and coral, mountains, jungle, islands, beaches… A vacation destination that is unique in today’s world. 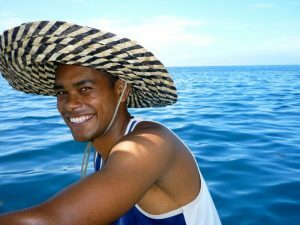 The people of Fiji are some of the friendliest people on Earth, with a legendary hospitality, which is for most visitors to the Islands the most memorable. Children mean everything to the Fijians, they are family people and share their enthusiasm with guests. There are not many destinations where families are so welcome as in Fiji. If you are a lone traveler to the islands, usually the third question by locals is “do you have children”. The uncomplicated and loving approach to families is typical for the Fijians. No wonder that Fiji is one of the best family holiday destinations. Two hours drive from Nadi International Airport is this upscale, relaxed resort. Located on the Coral Coast surrounded by green hills this resort with two outdoor pools (one for families) and several restaurants and bars, is for families and romantics. There are 254 modern rooms and bungalows. Free kayaking, paddleboarding, and tennis. A free Mini club for the 3 to 12-year-old, a teens club is available for a fee. Parents may hire the resort “meimei” service for a one-on-one babysitter. Leleuvia Island, the perfect place for a family holiday on a budget. The island is a gem, surrounded by clear waters, palm trees and 2 km of white beaches. A South Pacific Island Paradise located a 1-hour drive from Suva followed by a 40 min boat ride. Babysitters are arranged.